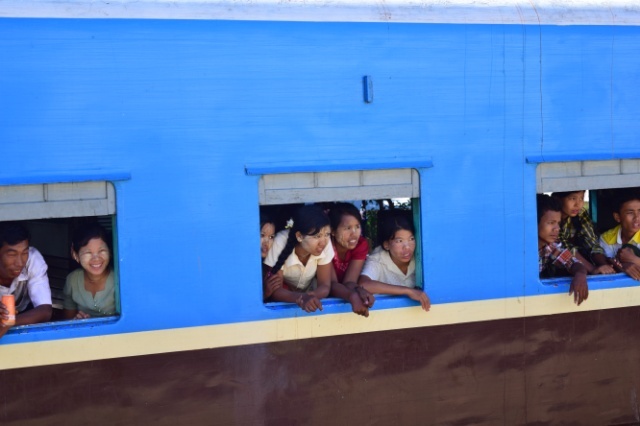 This slow, extremely bumpy and at times uncomfortable journey will leave you wandering at what point your head will hit the ceiling but with the trains being integral part of burmese infrastructure this experience should not be missed. 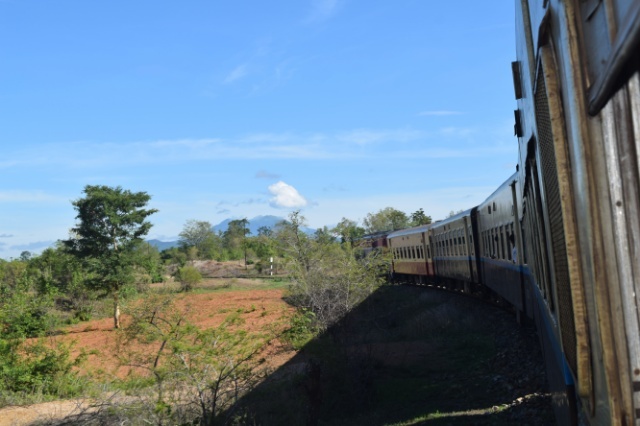 Only recently, in April 2014 the government decided to make the ticket prices for foreigners equal to the local making traveling by train more affordable for the backpackers pocket. 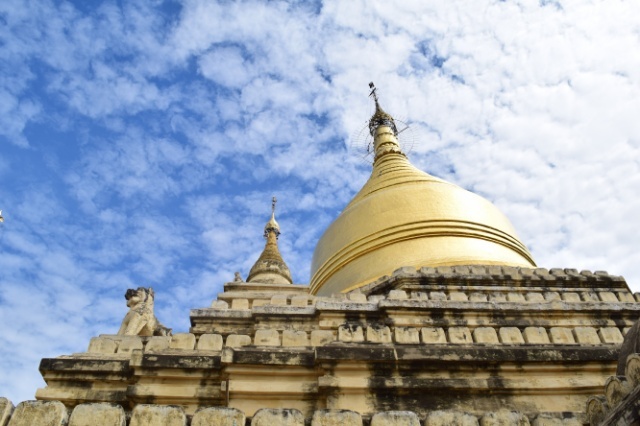 Although for some reasons most reviews on the Internet suggest making Yangon- Bagan journey on a bus, mainly because it’s more comfortable and faster, I would go against their advise and not think twice. Do it by the train! 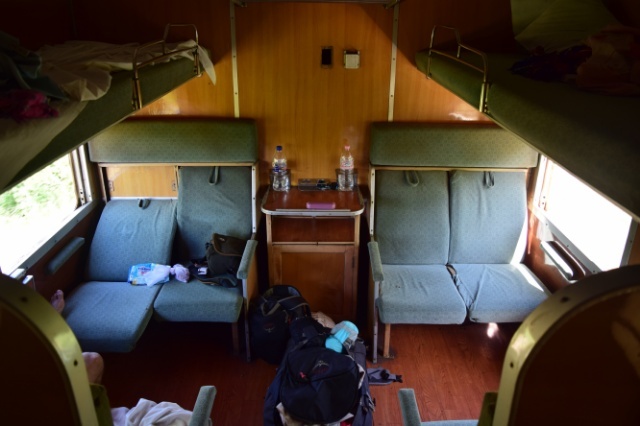 We left Yangon at 4pm and travelled on the Upper Class sleeper coach that was made of one compartment accommoding 4 people. As no one else traveled on our coach we ended up having it all to ourselves! There was a bathroom (questionable standards and no water, as the tank leaked for the first 30 after leaving the station), towels, relatively clean sheets and the whole interior looked like from the 70′. 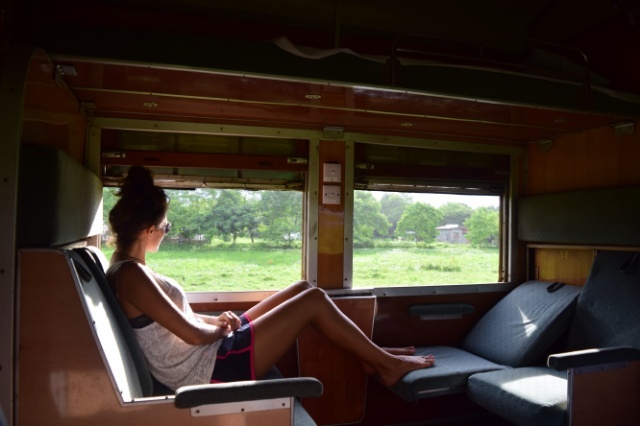 I loved it and now thinking back, I feel silly questioning whether we should travel by train or not! 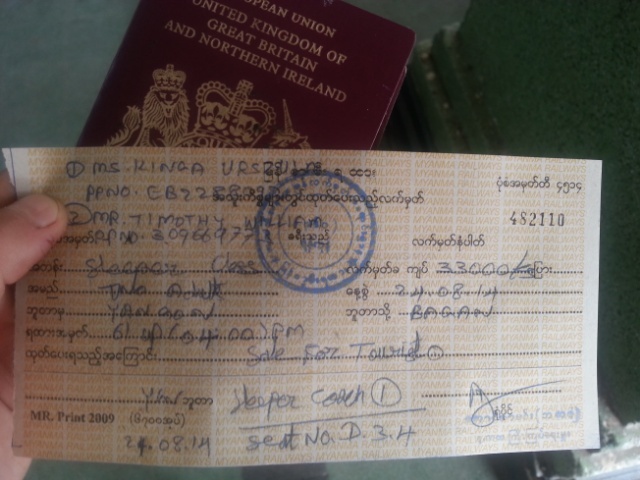 It was probably one of the best and most interesting $32 USD we spent for a transport in a long time! 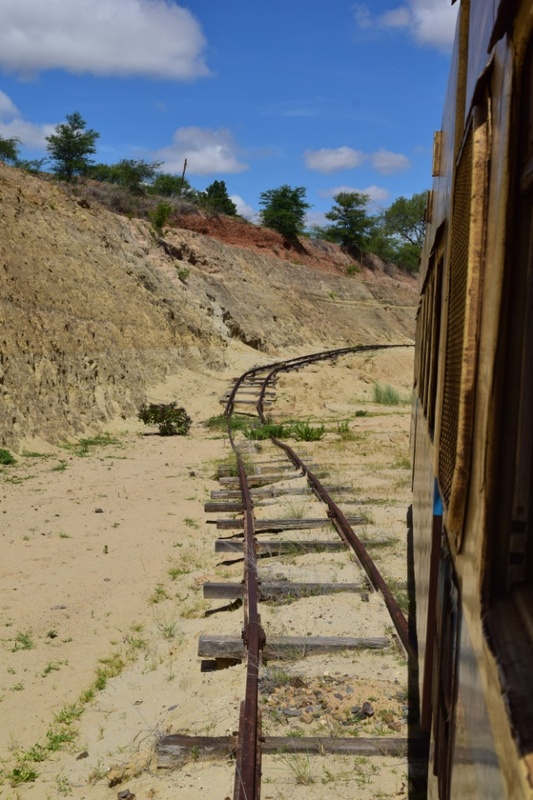 The moment the train was on the move, a slow move shall I add, the famous burmesee train bumping begun. Bumping up my head almost hit the bed above and going down did not do any favours to my bottom. Once the bumping stoped we went into rocking mode. If I poked my head outside the window I saw the coach in front of us leaning 30 degrees side to side at least. I guess I was lucky enough not to have fell out the window in the first place. Electricity in our coach seemed not to work, meaning it was an early but surprisingly comfortable night. There is something about the travel on a slepper trains I love and rocking me to sleep may be one of them! 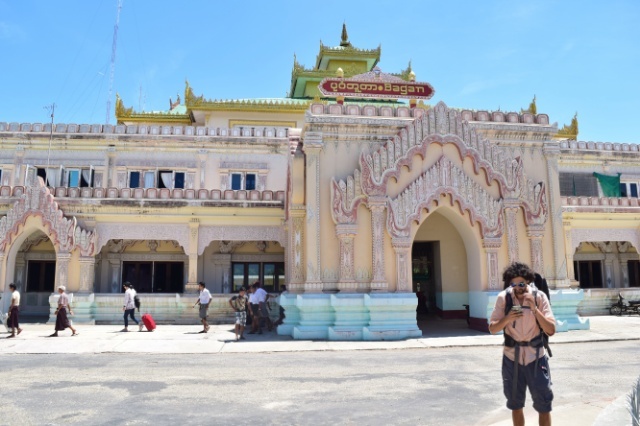 We arrived in Bagan the next day with almost 4 hours delay, which we sort of expected as Burmesee train don’t often arrive on schedule. From the train station we jumped on a public bus that took us to xxxx where most cheap hostels are located. 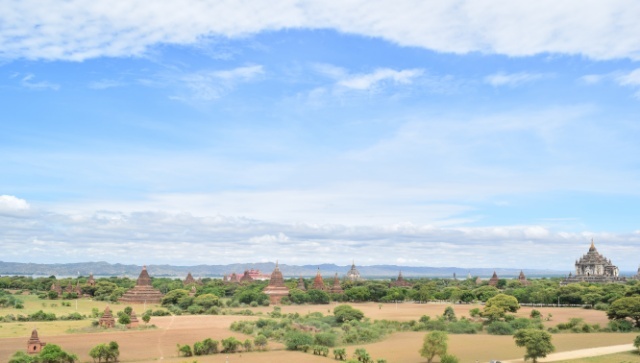 The following day was spent among magnificent landscape of Bagan dotted with beautiful stupas and temples. 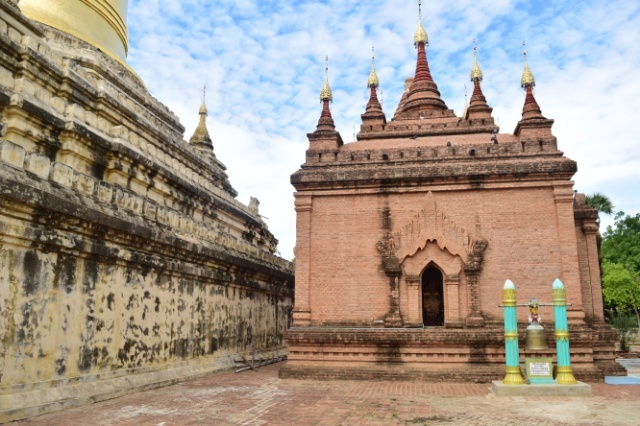 Although not well maintained (as the ones in Ankor Wat for example), their vast number of over 2000 is truly impressive. 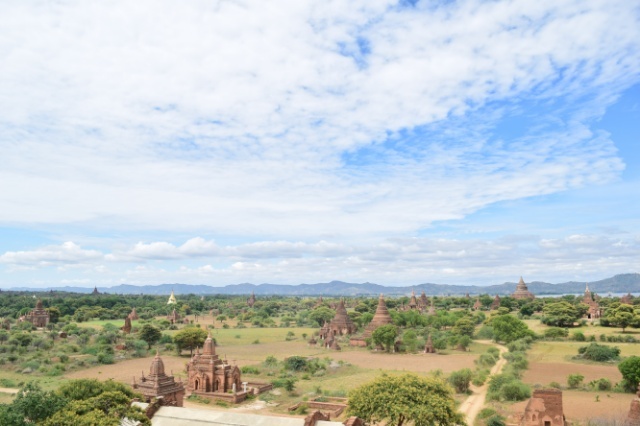 Most of these temples were built by king Anawratha who’s obsession was to preserve Buddhism by building temples, sculptures and libraries and it only takes a little bit of imagination to picture their greatness back in 11th century. Sadly, the time, effort and money spent on Pagan’s monasteries did not prevent the city from getting invaded by Mongols in 1287 which ended the golden age of the holly city. 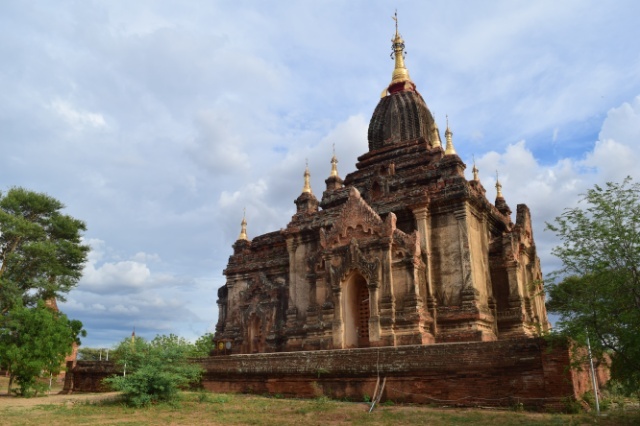 I’m not particularly good with remembering names of the temples we visited, so on this occasion my post is actually quite helpless but for anyone wanting to know more I refer you to Google :). 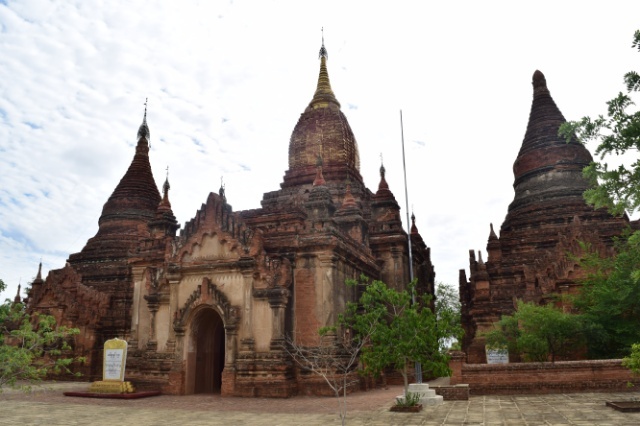 Discovering Bagan is easily done either cycling or riding a motorbike, depending on how far you want to venture. 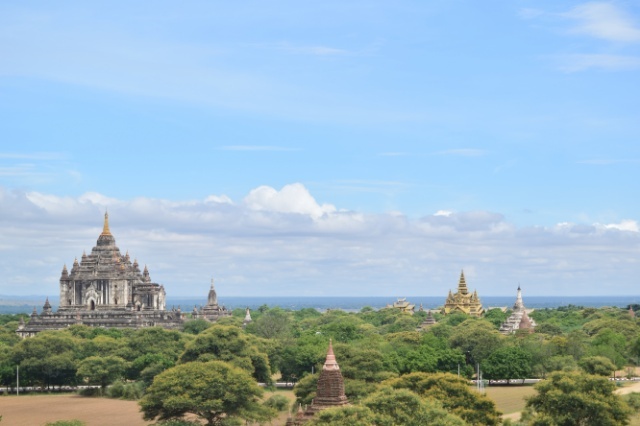 We spent the morning cycling around, avoided the midday sun by escaping to our hostel and in the late afternoon picked up an electronic bike for a half price to go a little bit further into the land of temples!